Few Google creations remain as captivating as Google Earth. Released in 2005, the app allows users to thoroughly explore the world, in a digital format, but with the feel of having actually visited the place. And now, finally, Google Earth has been fine-tuned for tablets powered by Google’s Android mobile operating system. With the update, Google has optimized the app for the larger screens of the tablets (as opposed to the relatively tiny smartphone screens), and added support for fully textured 3D buildings, “so your tour through the streets of Manhattan will look more realistic than ever,” Google boasts in a press release posted to its official blog. Before now, Google Earth’s 3D viewing capabilities were only available on the desktop version of the app. Google has also added a new “action bar” to the top of the app’s screen, which makes it easier to zip around to your favorite locations around the globe. 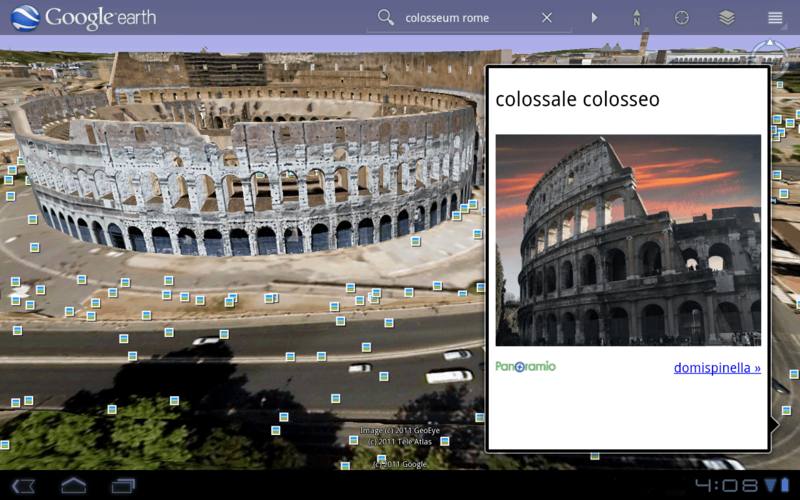 To augment the already-enhanced reality provided by Google Earth, the company also added layer support for things like Google Places, Panoramio photos, Wikipedia and 3D buildings. The practical applications for Google Earth remain both vague and widespread. One of those uses made itself apparent following the devastating earthquakes and tsunami that ravaged Japan earlier this year when Google updated Earth to include satellite images of the Sendai region, an area hit hardest by the disasters. The Google Earth update is available for Android 2.1 and above, but is best suited for devices running Android 3.0 Honeycomb. Users can download the app from either Google’s mobile site, or through the Android Market.